Alright I do this every year. I go through the albums I made over the year on Ants, Bees, Butterflies, and Nature. We start with an awful image of the forest floor I took back in March. Up in the trees the Winter Ants, Prenolepis imparis, were swarming. 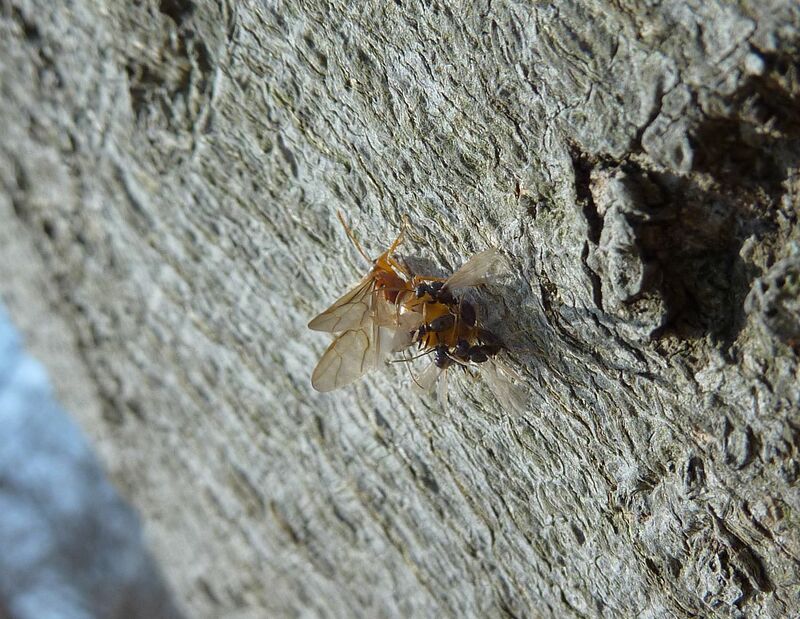 Normally they fly on the first warm day of the year above 70F, but this year they held off for some reason. 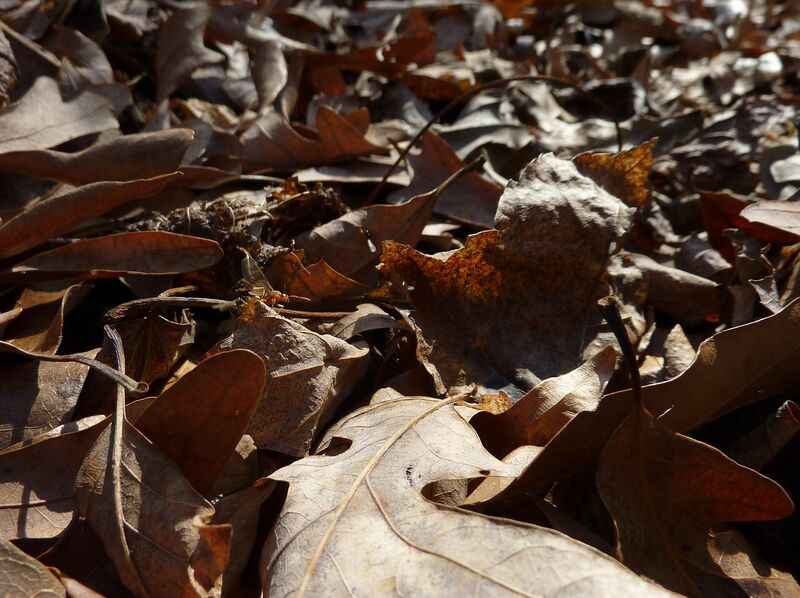 Hidden among the leaf litter is a P. imparis queen and a few males. 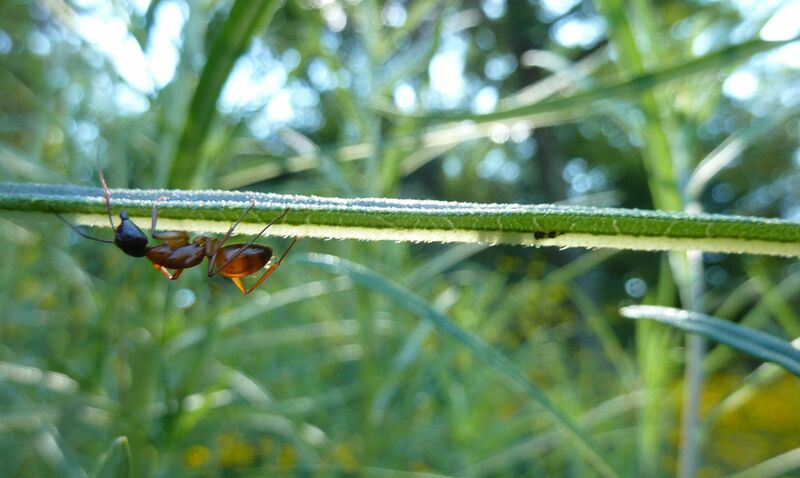 This sums up what a pain it is to find ants among leaves (and tall grass). 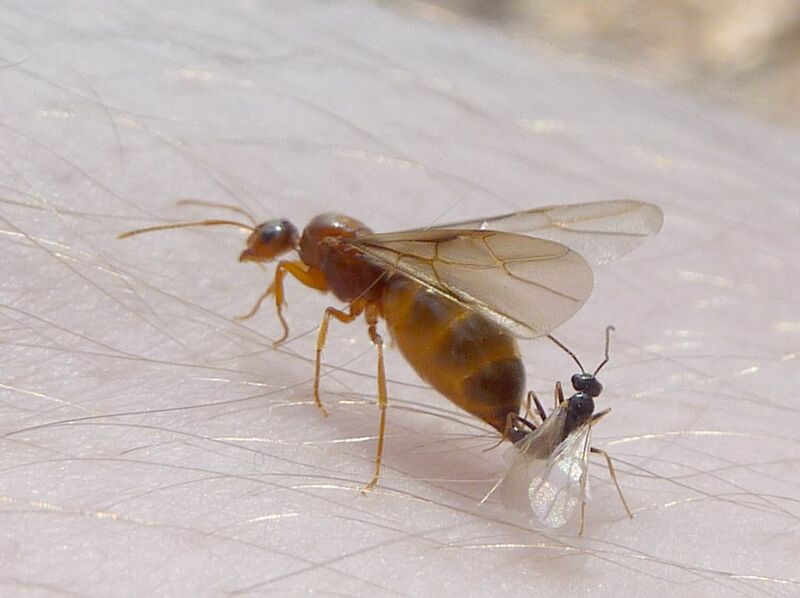 They're so much easier to photograph when they land on your arm. The males swarm around trees and wait for new queens to arrive. I like this because she actually made it up the tree to a considerable height. The swarms go all the way up the tree and usually queens get tackled by so many males they don't make it past 6' up. 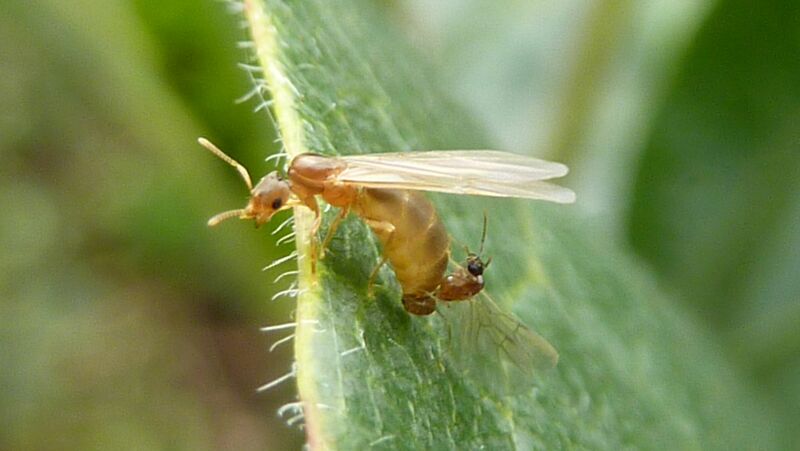 As plants leaf out, aphids, leaf hoppers, and scales become active and provide food for ants. 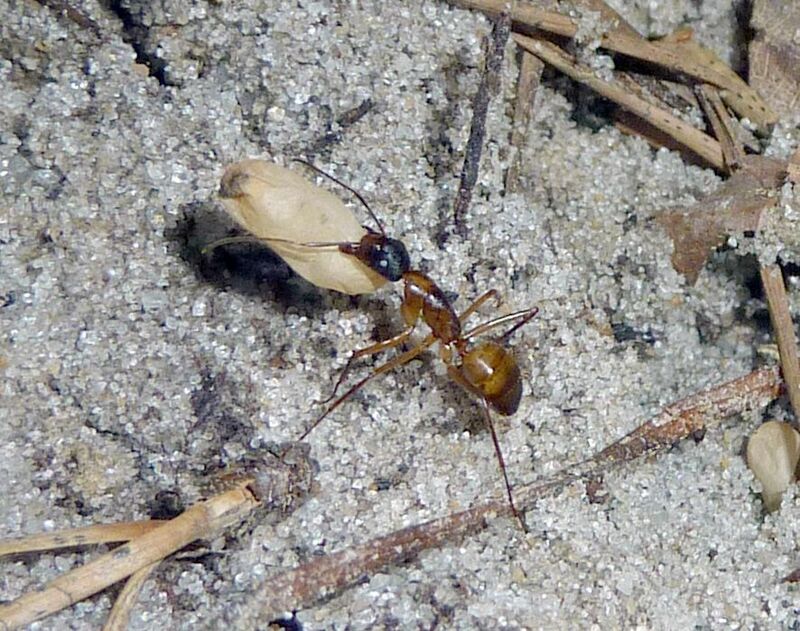 In this case a Lasius alienus worker. This is on a redbud tree and I notice aphids seem to only take hold right at the node where the leaf attaches to the stem. Stealing nectar from flowers is the other option. 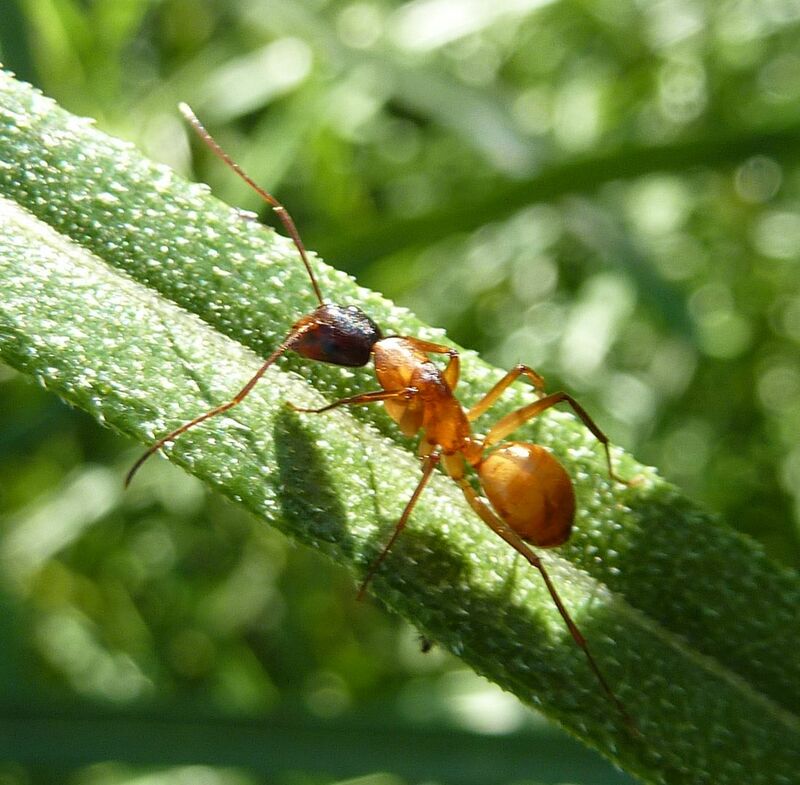 In this case it's the Odorous House Ant, Tapinoma sessile, which I've found to be notorious for stealing nectar. 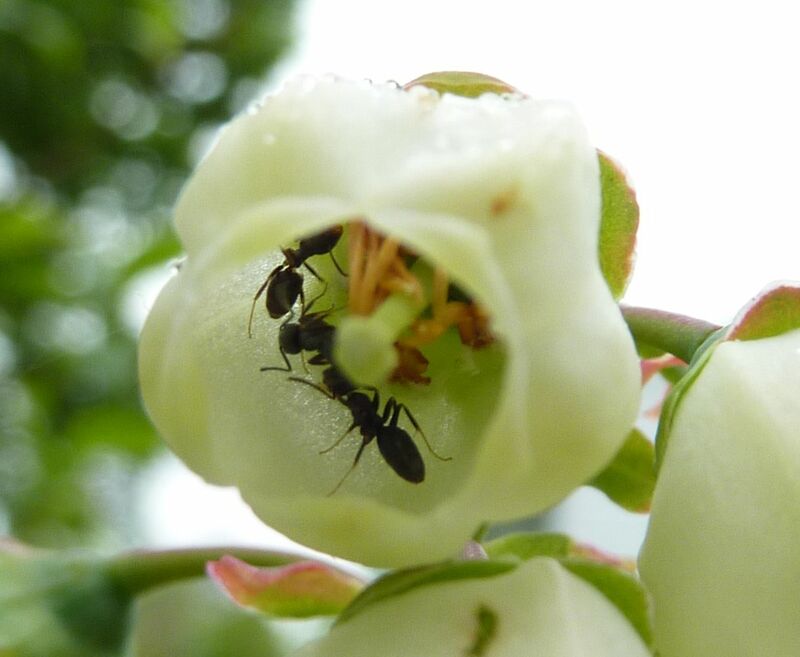 I find them in more flowers than any other species, even in those with noted defenses that evolved to prevent ants from stealing from their flowers. 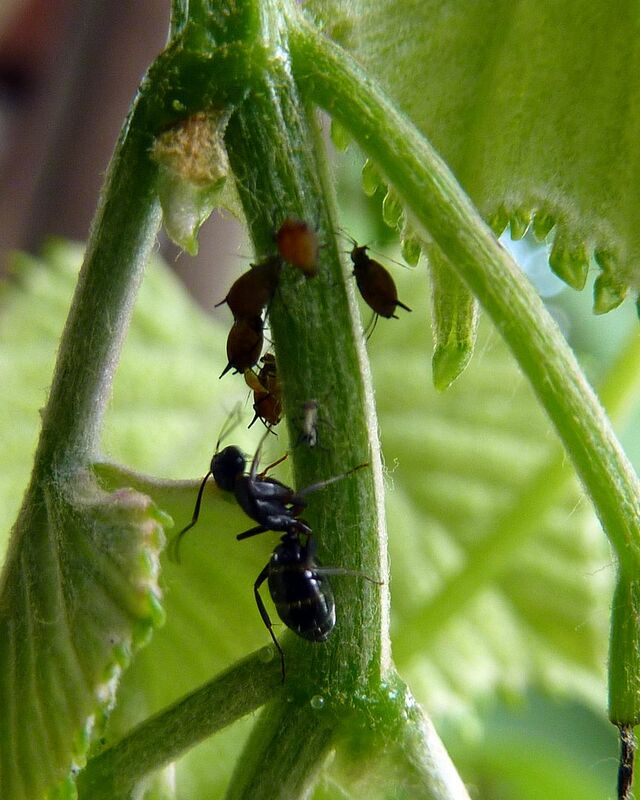 Aphids make ants so much easier to photograph. 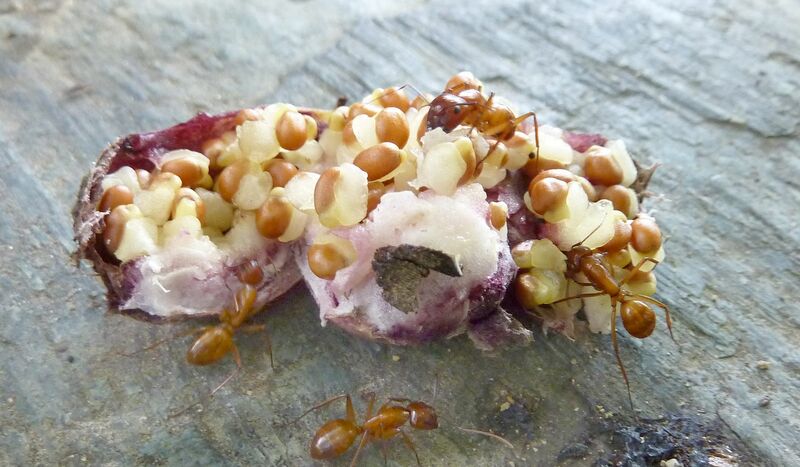 Any food really that has the ants holding still. Here a Camponotus sp. tends some on our grape vine. This year also marked the first time I Hosted/Attended the First Annual New Jersey Ant Together. We came across a Camponotus americanus colony which I don't encounter as much as the brighter colored Camponotus castaneus. So that was nice. 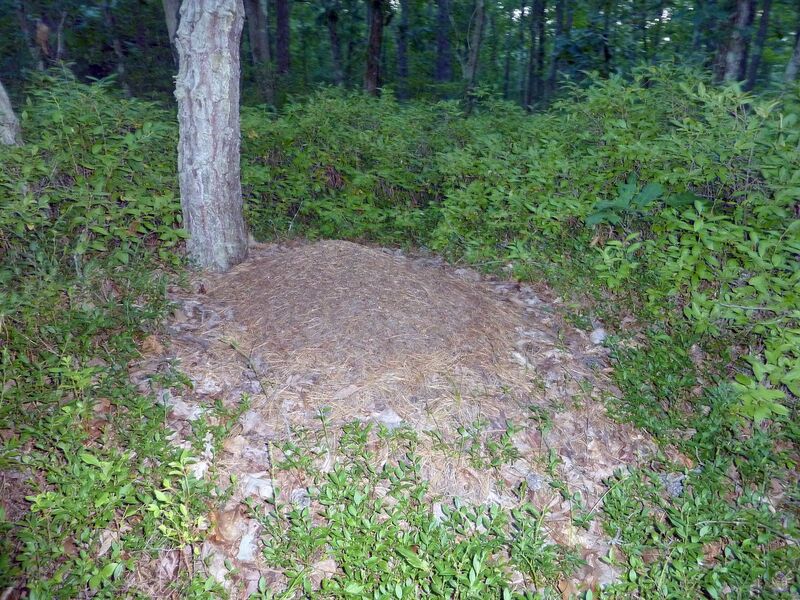 The Formica exsectoides mounds we encountered were awesome! The largest were two mounds next to each other that had to be 3' worth of mounded soil. Their mounds lined a pathway of considerable length all they way down at the Turkey Swamp Park here in NJ. There were so many F. exsectoides workers pouring in and out of these mounds that you could actually hear the leaves rustling from them all rushing about. 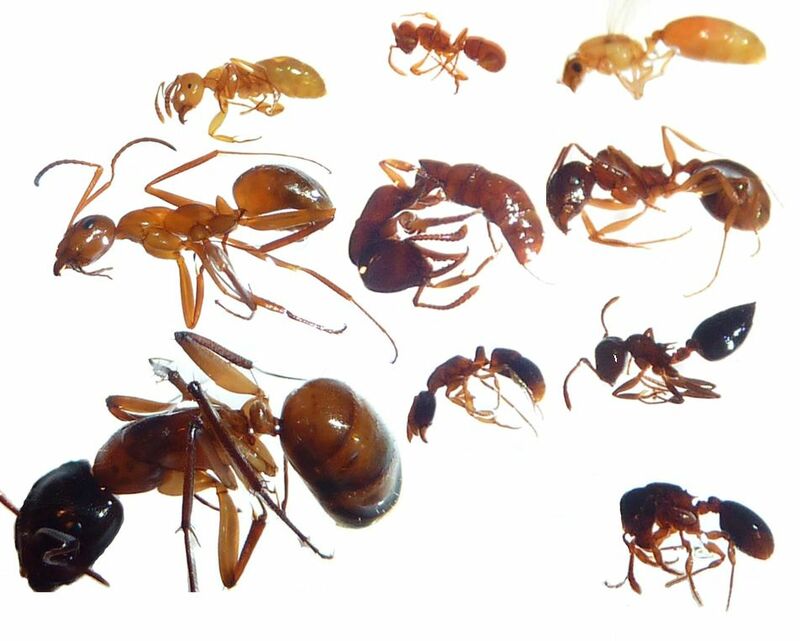 Pheidole have always been a small mystery to me. Small ants in general always are. 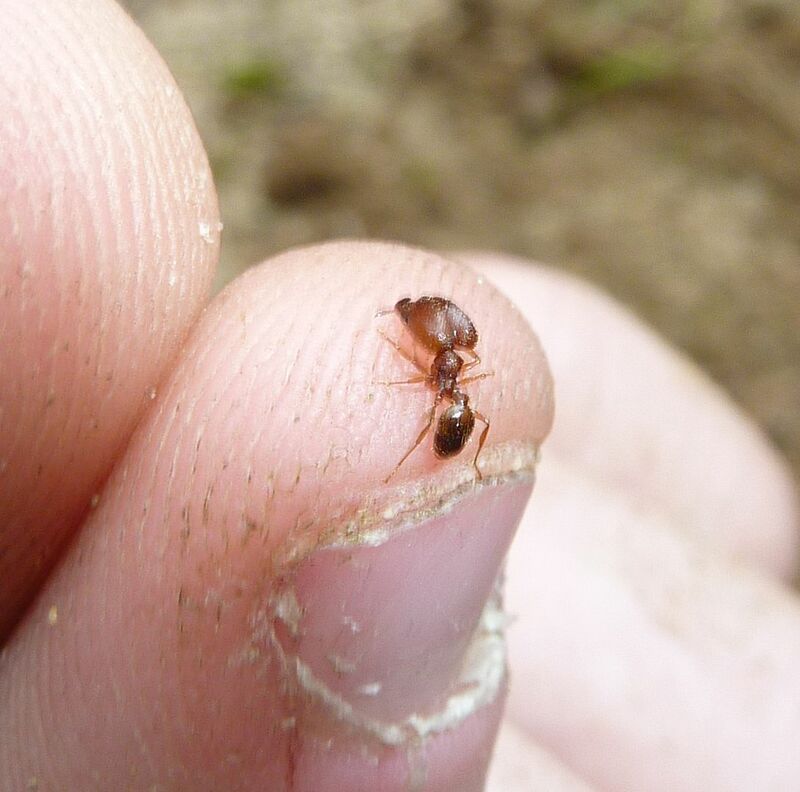 We have three species in New Jersey and they are all really tiny. 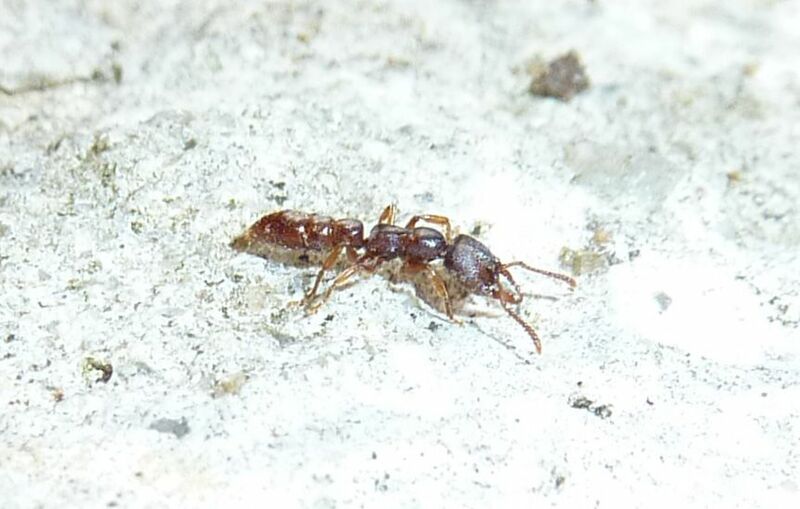 This is a Pheidole bicarinata major worker. They're about three times as large as the workers which make them easier to identify of the three. 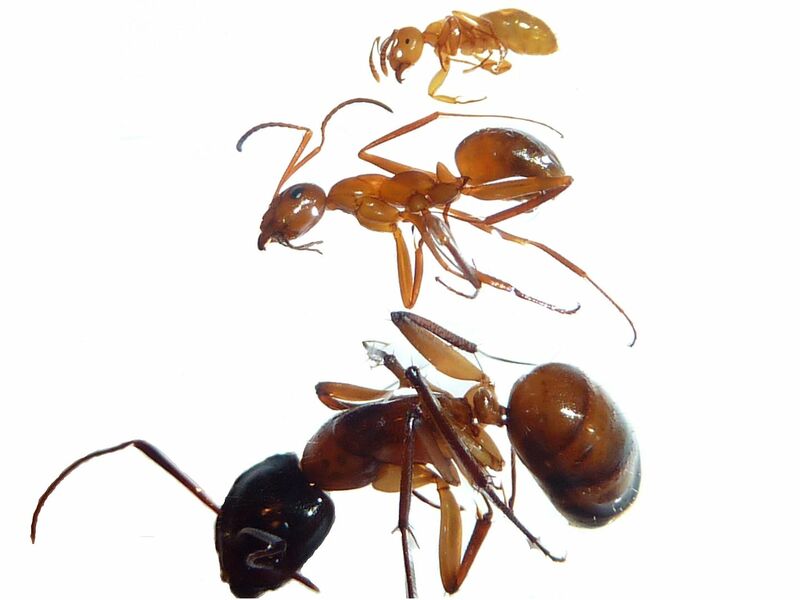 Pyramica is another rare ant almost never encountered. Seriously if you're not covered in chiggers, ticks, and poison ivy by the end then you're not looking hard enough typically. 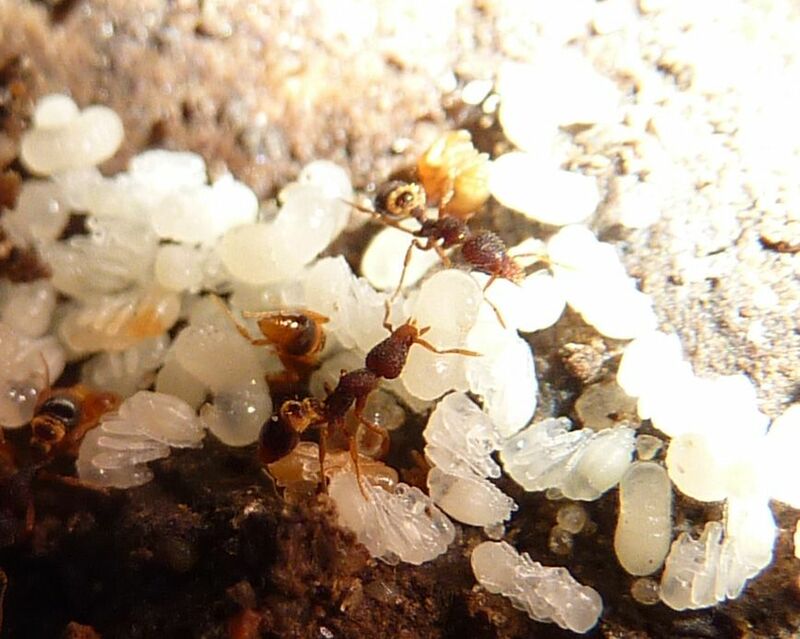 We found this colony under a rotten log that was near a creek and in a shady area. Apparently a problem with this species is they over heat easily in sunny spots so even dappled shade could be an issue for them. They're also predators of springtails so rotting plant matter is a must. I didn't expect to find an ant this cool after just 3 hours but there they were. I have occasionally found these in my yard. Polyergus is another fun find. They're not "uncommon" but you don't find them everywhere. 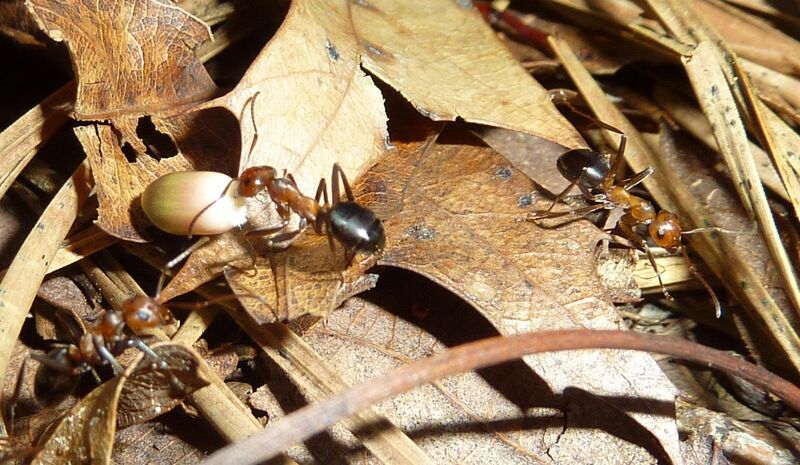 They're slave making ants of Formica species, which happen to make them very common all over the US and Canada. This was a first time encounter for me. Amblyopone pallipes was another cool find, and a first for me. 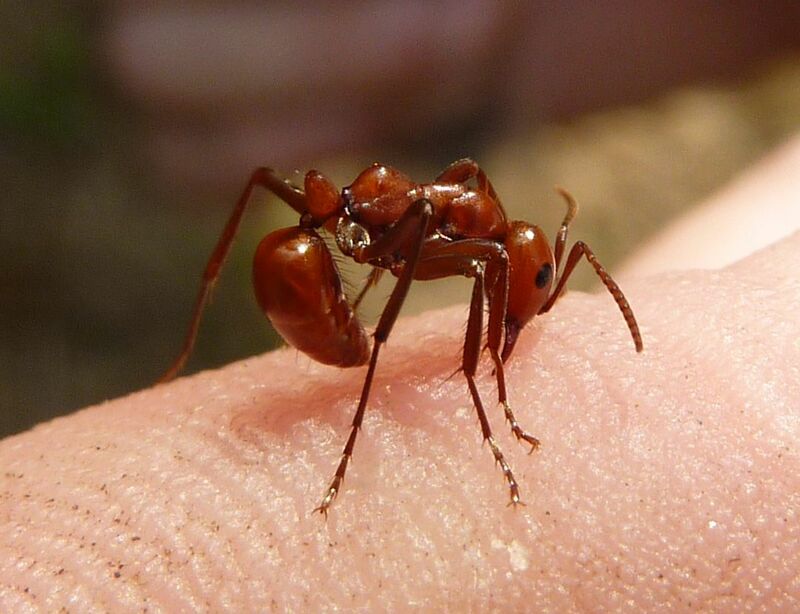 They're called Dracula Ants because they puncture their own developing brood in nonlethal ways to feed. Not a great photo at all compared to what's on the internet, but we held this thing for like 30 seconds before it crawled off and got lost in the pine brush. This is a distorted angle but these are some of the specimens we collected while on the trip. The droughts of summer always limit ant activity but one thing I've always looked forward to is harvesting my Trillium seeds and presenting them to the ants. 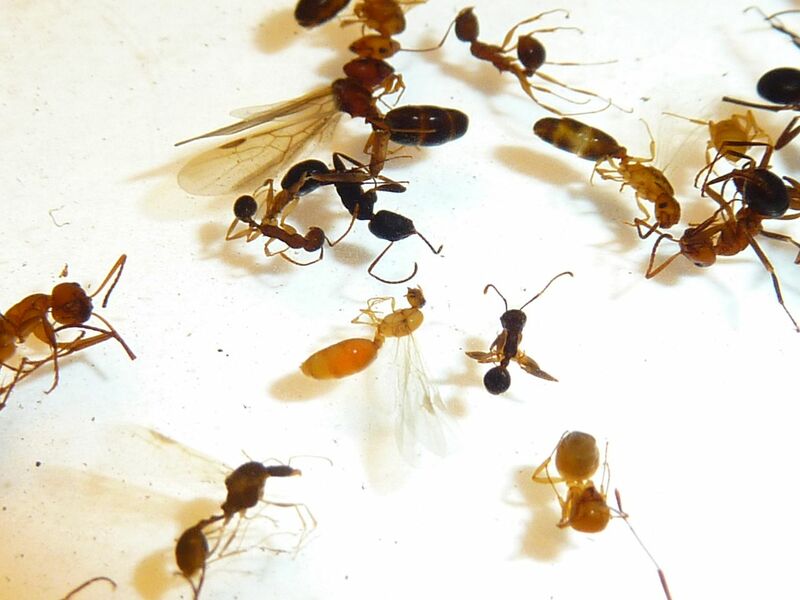 This year I got a lot more Camponotus castaneus workers at them than ever before. Nylanderia flavipes workers also showed up as they always do. You can really see the drastic difference in size between the two species. I started work making my own key but never got around to finishing it. The project was going to be an interactive video on youtube where I'd have arrows and Annotation Boxes you could click on to take you elsewhere in the video. It's quite an undertaking and I'm not up to finishing it this year. Hopefully in the future something will come of it. A Camponotus americanus worker on a Narrow Leaf Sunflower. Two of my most favorite things. They were actually working tiny aphids but these weren't all that common on the plant. Despite the narrow leaves the aphids did a good job of hiding. And the last ant photo I took this year that I'm really happy with is this Brachymyrmex queen and male, namely because of how tiny these ants are and how well this came out. I think your Redbud "aphids" are actually treehopper nymphs. In fact, given the location, they may well be Enchenopa (which have cool-looking adults). 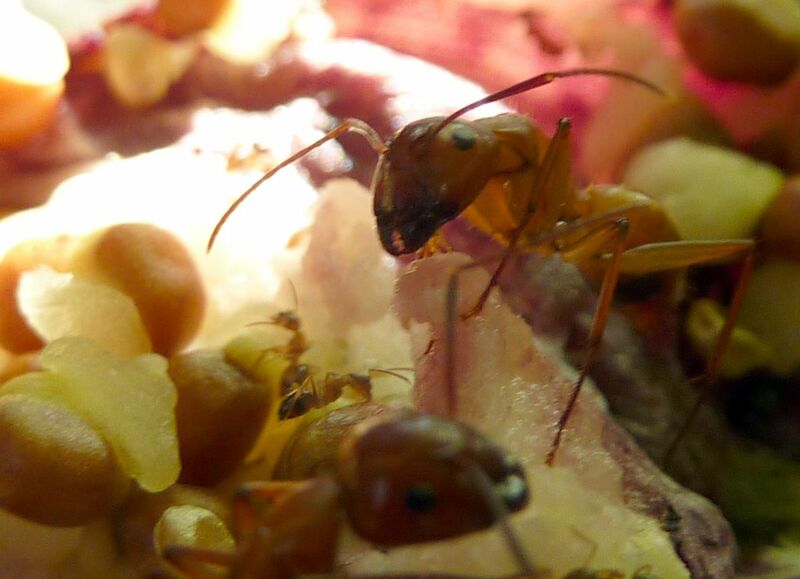 I really enjoy your ant photos, and would love to see that identification video, if you ever do make it. I'm still generally stumped as to which species I have when I find ants. The name of the article is best of ant 2012 and I will sat this article best for its images. They are really very beautiful.